Hi everyone, senyorita lakwachera is more of a confuse blogger right now ha-ha I really meant this blog to be a travel and food journal and will have a touch of my style. But lately my personal view on my blog doesn’t seem to go the way I planned it. I am seeing much of my style that is coming out of my post. Okay – so I am trying to make myself fit for it, I am trying to learn “how to” and the best way to learning is learning from the experts. Before, I only knew and admire few fashion bloggers like Laurine Uy, Camille Co, Kryz Uy, Devine Lee and few more but through the day I’ve been reading I have found more and more talented and beautiful bloggers on the rock. This made me felt so shy and out dated. Well I am busy, so that is my excuse. While on the road of getting to know fashion blogging I stumbled upon good and beautiful blogs, I would say interesting one. I am so happy to know them coz they will surely be an inspiration for me. I can name three as of now because but I have sighted a lot of beautiful bloggers but haven’t read much on their blog yet. If you can suggest a blog to read please leave your comment and I would be excited to visit themJ. 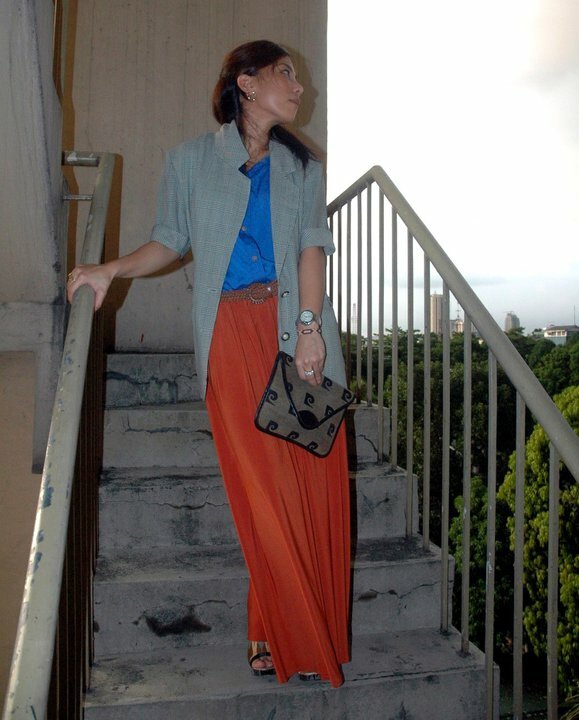 In the mean time I should say that pinay fashion bloggers truly rocks! the first jacket wow! the pattern is gorgeous!